If there’s a constant in the world of streaming media, it’s change. Okay, that’s a constant everywhere, but especially with sites like Hulu and Netflix. The shows available on demand change just about every month, and all that churn makes lists like this grow outdated with great frequency. 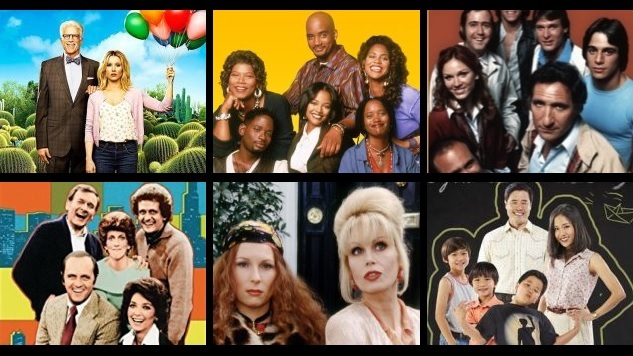 That’s why we’re updating it here today: to help you find all the great sitcoms that are on Hulu today, without missing any great new additions, and without directing you towards shows that are no longer on the service. If you’re a Hulu subscriber who loves sitcoms, you should be happy: the library here is shockingly deep, more so than Netflix or other competitors. It’s a killer line-up of shows from the ‘50s through today, including many of the best of all time that aren’t streaming elsewhere. (This is the only place you can stream every episode of Seinfeld, which, I’ll tell you right now, comes in pretty, pretty dang high on this here list.) Here’s how great the selection on Hulu is: there wasn’t enough room on this list for such long-running hits as How I Met Your Mother and Malcom in the Middle, or for cult classics like Aqua Teen Hunger Force and Workaholics. This pool is deep, and let’s quit chattering and just dive right in. Here are the 50 best sitcoms currently streaming on Hulu. Creator: Zach Galifianakis, Jonathan Krisel, Louis C.K.